It's good for you, too. 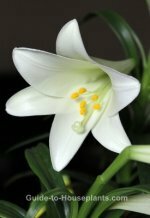 This is one of the best plants for improving air quality indoors. It has one of the top removal rates of toxins such as formaldehyde, ammonia and carbon monoxide from tainted indoor air. Blooms usually appear in early summer and last for weeks. The pale green spathe turns white as it opens and surrounds the protruding spadix that is densely covered by its tiny, true flowers. No blooms? Plants that fail to bloom usually aren't getting enough sunlight. 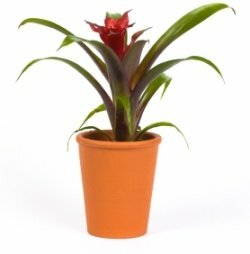 Move your plant to a brighter location, but keep it out of direct sun, which can scorch leaves. Got an older plant that refuses to bloom? If you haven't divided it in several years, divide it in spring. This is one of the few plants I know that blooms better after dividing it. Dark-green, glossy leaves are strongly veined and arch away from the plant's base, making this an attractive foliage plant when not in bloom. Keep its leaves dust-free by wiping them with a damp cloth. 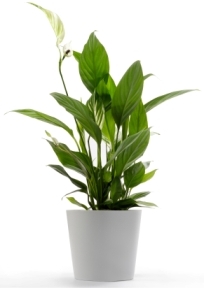 When caring for peace lily plants, remember that its leaves will indicate any problems. Brown leaf tips are likely caused by overwatering. Water thoroughly, but don't allow the soil to get soggy. It could also be caused by direct sun. Move it to a shadier spot and be careful not to overwater. If the leaves become shriveled and dry, the humidity is too low. You can increase humidity by misting the plant or placing it on a tray of wet pebbles. CAUTION: Spathiphyllum is poisonous. Keep it away from children and pets who may play with or chew on it, and wash hands thoroughly after handling it. There are many good cultivars to choose from. Here are a few...'Mauna Loa' is a beautiful and long-time favorite. 'Sensation' is also popular. A newer cultivar that's getting attention is 'Domino' with marbled green and white foliage. 'Petite' is a small variety, ideal for a dish garden. Light: Bright light, but no direct sun. Will tolerate low light, but may not bloom. Brown scorch marks on leaves are a sign of too much sunlight. Water: Keep soil evenly moist. Use a pot with a drainage hole to prevent soggy soil, which can cause root rot. Humidity: Relative humidity of 40% or higher. Shriveled, dry leaves are likely caused by dry air. Indoor humidity can drop drastically in winter and may need a boost. Take a look at these easy ways to increase humidity for your houseplants. Fertilizer: Feed monthly in spring and summer with a balanced houseplant fertilizer that includes micronutrients, using half the recommended strength. Yellow edges on leaves are an indication of nutrient deficiency. Propagation: Division. 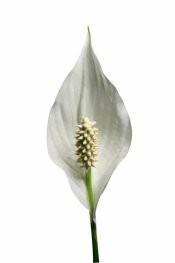 Early spring is the best time to divide Spathiphyllum because it is beginning its most vigorous time of growth. Divide it every 5 years or when necessary.